Each of our logistics centres has a large maritime container depot area. Our container depot areas are designed to meet the storage, repair and maintenance needs of both loaded and unloaded containers for transportation companies. Our container repair workshops are staffed by highly specialized personnel. We carry out regular maintenance of homologated containers of all sizes as well as deep repairs and transformations for the last trip. 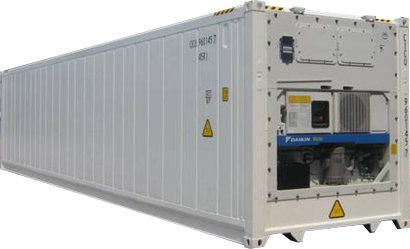 We are the official technical service for the main reefer container brands: Daikin, Carrier, Thermo King, Star Cool. We have PTI Rack cooling towers with capacity for 120 reefer containers connected simultaneously. 24-hour reefer repair and maintenance service at any location. Supply of spare parts for reefers on board ships. Capacity to stack empty containers up to 6 heights. We have our own computer system that allows us to obtain information in Real-time information about the repairs or movements of each container from our website. Our customers can know in real time what is their stock of containers available in our facilities and in what state they are.